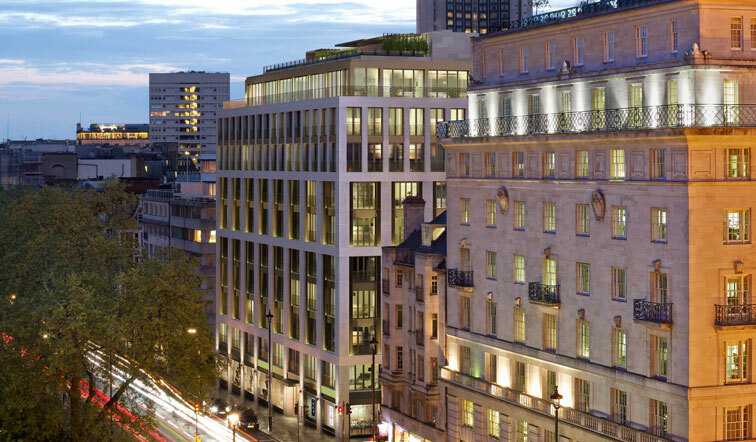 Based in London’s Mayfair, the development is mixed-use, comprising a high value residential block, commercial offices, private members’ club and library, as well as a smaller residential block. The project was conceived using Laing O’Rourke’s DfMA (design for manufacture and assembly) processes and procedures. We have developed a new precast product (Megaplank) to replace the in-situ concrete and metal deck slab traditionally used on steel framed structures. This has brought significant programme and safety benefits to this project. The scheme sits over the Jubilee Line tunnels which has driven both the structural, civil and building services engineering, foundation solutions, ground movements and ground-source heating. With a phased construction programme that included retention of the existing private members club until their new building was complete, which in turn drove a two phase construction of the high value residential block split vertically, a very close relationship has been required between the engineering and construction teams. As developer British Land embraced the engineering innovations and phased construction challenges that were proposed.